Long gone are the days when a café was just a place where you could grab a morning coffee and continue carrying out all of your daily obligations. Today, it is the place where people gather to drink a cup of their favorite coffee while enjoying the soothing music and pleasant comfortable ambiance of a local nearby café. It is a perfect way to relax, clear your thoughts or simply have a nice chat with a friend or even a stranger. However, during the cold winter months, most of us prefer staying indoors and enjoying a warm homey atmosphere without stepping outside for a cup of coffee. 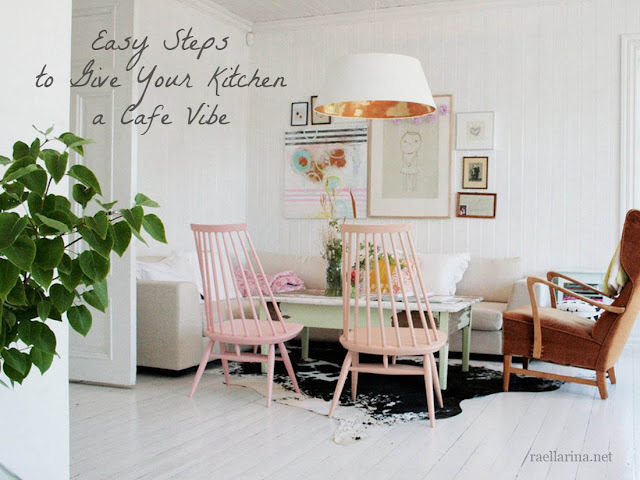 If you want to drink your coffee and still be a part of that coffee shop ambiance, you can recreate your kitchen and make it become your favorite place in just a few steps. Every sidewalk cafe has a bar seating area, usually placed near the window so that you can watch the world passing by while sipping a nice hot cup of coffee. So, why not make it in your own kitchen? It is an effective decor element and will most definitely contribute to creating that familiar, relaxing atmosphere of a coffee place. 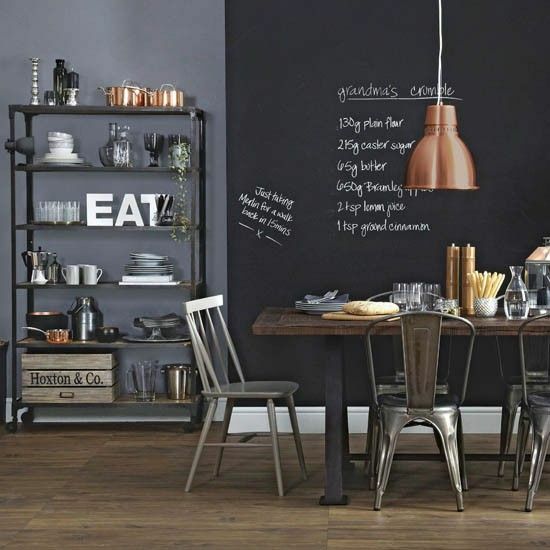 You can make it even more interesting by installing a bookshelf on the wall next to the bar and turn it into a rustic coffee corner by displaying cups, plates and the rest of the tableware. If you have a spacious kitchen, make the most of your space and create your own coffee corner by adding a large comfy patterned armchair where you can lay back and be inspired for some good morning read. 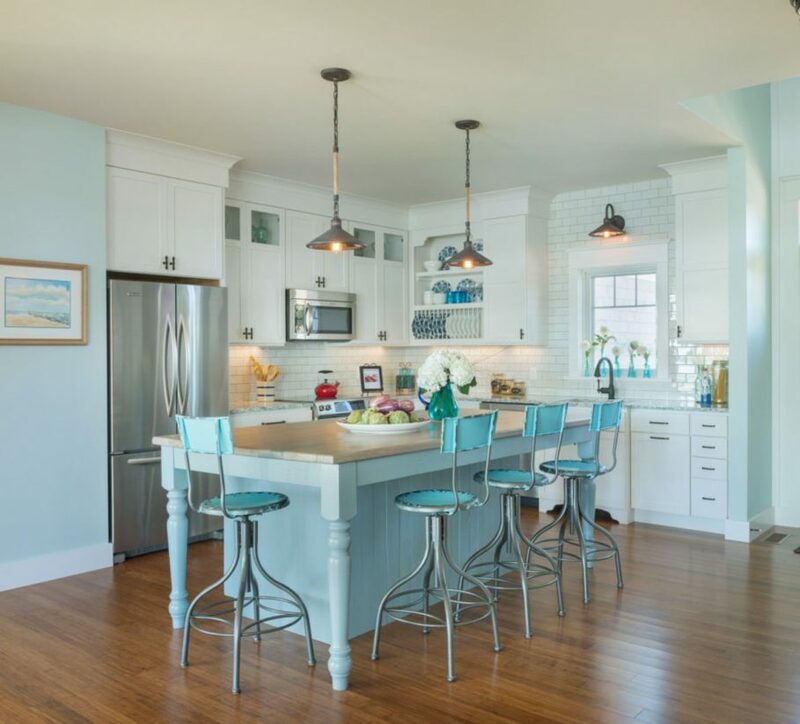 You can also choose a few of your favorite books and place them on the kitchen shelf or add two or three pedestal tables of different sizes and invite a few friends. 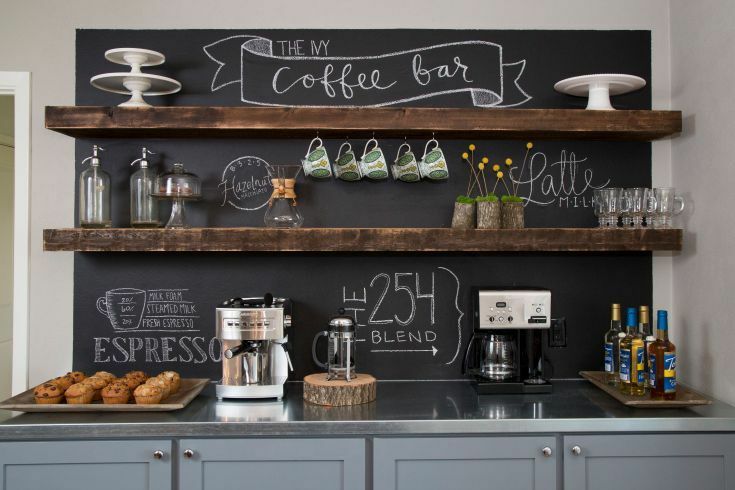 Another appealing addition that will breathe some life into your kitchen and make it more creative is a black chalk board that you can hang on the wall and write your menu for each week on it. It will create a casual atmosphere, perfect for a family gathering or a nice evening with friends. It’s also a fun item where your kids or guests can write silly messages or make funny drawings. The easy availability of various home electronic appliances have made our life a lot easier and more practical. Since the prices of different coffee machines have been going down for some time, they have become a pretty affordable luxury. Now, you can brew up a delicious cappuccino or treat yourself with a strong, black or flavored espresso. It’s worth investing in it, it’s cost-effective and it gives you plenty of opportunities to experiment with different tastes. Some coffee shops distinguish themselves with an impressive collection of unusual mugs. Instead of placing ordinary and plain coffee cups, opt for some decorative and distinctive Planet mugs and beautiful ceramic ware and hang them on the wall. It will decorate the wall, add some spark to the ambiance and save much needed space in your kitchen. Another option is to create a handmade cabinet or a wooden shelf, add some color to it and storage you mug collection. There’s nothing more effective than adding fabulous checkerboard flooring. It creates a timeless and chic look and adds a nice retro edge to the rest of the kitchen décor. You can add warmth to it by installing natural timber and appropriate lighting. Disclosure: This article is a guest post and is written by Arron Hiddleston. All thoughts are not mine. Though I wasn't compensated nor sponsored to publish this, this article is intended to share general knowledge and tips on Kitchen design and Interior Design. I love these kitchen looks. Cool idea!